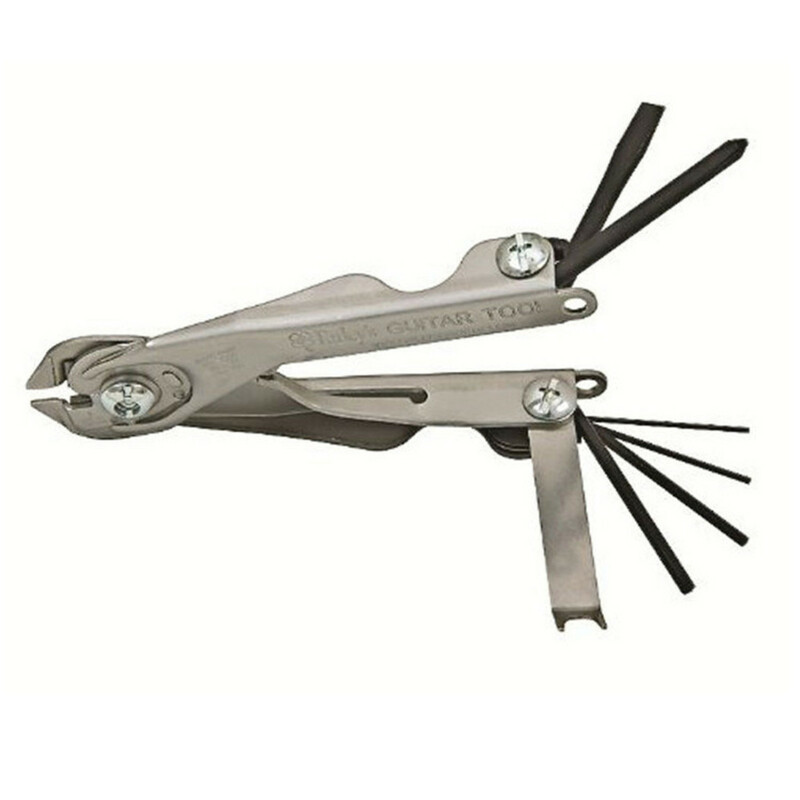 Introducing the ultimate string-change and maintenance tool, a must have for all guitarists and built to last! 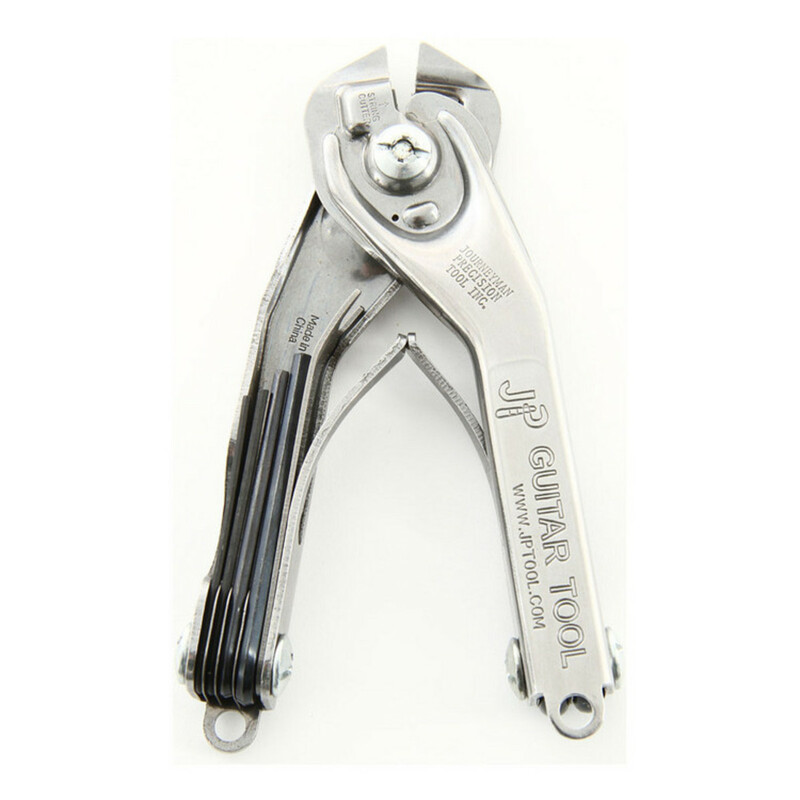 Engineered in the USA, the JP Deluxe Guitar tool is the perfect tool for a quick string change or as a setup tool. The Carbide steel cutting blade is the best available, strong enough to cut through any guitar strings, including bass. 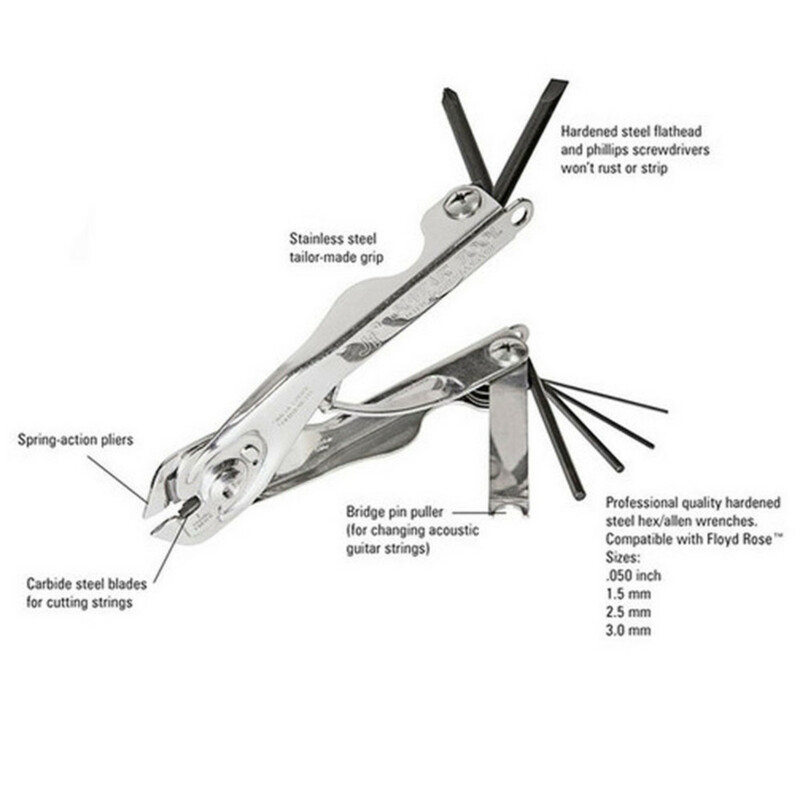 Packed into a convenient folding multi-tool, you get spring-action pliers, carbide cutters, a set of four hardened-steel hex wrenches, Philips and Flathead screwdrivers, and a bridge pin puller.